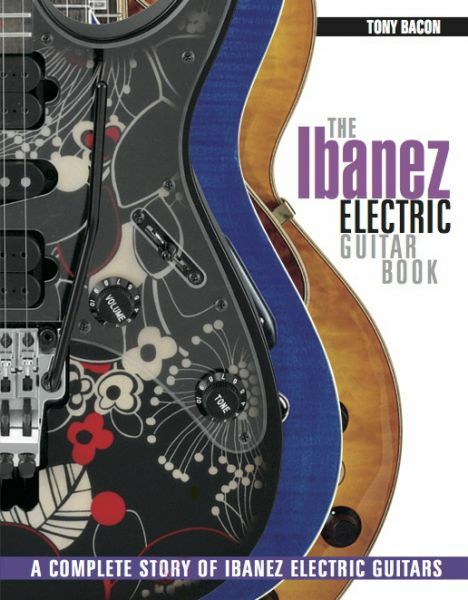 I’d wanted for some time to write more about the Japanese scene, and a book about Ibanez proved just the job. It’s such a good story, and it’s one that mirrors the way the Japanese guitar industry started, grew, and matured. Ibanez is the most important Japanese brand, and I really enjoyed tracking its fortunes from the company’s roots and its early years as a copier of the prime American models to the great success it’s found in more recent years as a creator of impressive original designs and instruments. I found out how Ibanez’s parent company, Hoshino, began exporting Ibanez guitars to Europe and the United States. At first they were cheap and basic, and in the 70s Ibanez was best known for its copies, mostly shadowing the look if not the precise feel of Gibsons, including Les Pauls, SGs, Explorers, and Flying Vs. As the Japanese music industry worked on quality, better instruments with original features began to appear, and in the late 70s and early 80s Ibanez hit new levels of achievement. The big break came in 1987 with the launch of Steve Vai’s JEM models and the related RG design, which have ensured Ibanez’s continuing popularity among metal and extreme rock players. As ever, I managed to track down and talk to many of the makers and musicians involved in the story, including the three key modern Ibanez names: George Benson, Joe Satriani, and Steve Vai. If you want to know a little more, you can read a piece I wrote about putting this book together by clicking on the link here.